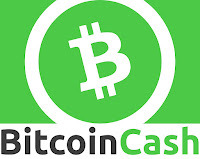 Based on 9 years of research and development as a Search Engine Optimization expert, I know (BCH) needs additional marketing to create price stability. I’ve been doing marketing for the Crypto Industry unpaid since 2014 in many forms. BCH is currently at a critical juncture to benefit from price stability. I have the tools to enable more value creation through marketing but I will need larger marketing budgets from you, my readers. If you value the BCH price or general crypto holding prices for that matter, please contribute to my projects to encourage price stability. I have owned Web Marketing LLC, an SEO Agency since 2010. If you need additional proof that I will do as directed, visit my company website: http://www.StrategiesSEO.com/ and my Crypto Blog: https://www.jaredschlar.com/ I also hold a Finance degree from Northeastern University in Boston. How to contribute to Crypto Projects by Jared Schlar? Vote, Share and Tip my posts on: https://www.yours.org/@jaredschlar. No tip is too large. Corporations pay millions of dollars for marketing services. Crypto is competing with many legacy businesses which hire armies of marketers. Developers are not the only ones to create value for crypto networks. Frequent the ‘Donate’ button on Crypto Blog by Jared Schlar. I create free Crypto Content for everyone. In order to create more high quality content faster, more time and funding are required. 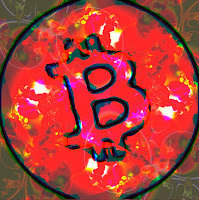 In order to ‘Donate’ visit the crypto blog homepage: https://www.jaredschlar.com/ Then click the ‘Menu’ icon (upper left) and donate button via PayPal.com. Conversely, if you would like to make a custom donation, send the PayPal funds to my company PayPal email address: info@strategiesseo.com *There’s a description box in PayPal to add personal specifications on how to spend the funds. Direct message me asking how you can help. Share my posts every time. Follow me on social media and engage with my social media profiles. If you need additional marketing assistance for another cryptocurrency, please contact me directly and explain your particular pain point and how the donation should be spent. When donations reach a certain size, I will create reports to show where the funds are going.